This is going to be a very exciting week ahead as it marks the beginning of the Hindu festival, Navaratri. Navaratri starts tomorrow, the 25th of September and goes through to the 3rd of October. In India tomorrow the festivals, feasts and wonderful ceremonies will start. It is a time of giving and sharing with families and friends and a time of making delicious sweets. I would so love to be in India this week to see all the festivities, the colourful costumes and the wonderful dancing and especially to be a part of this special festival. The nine nights of the Goddess ceremony is dedicated to the glorification of Shakti, the feminine form of the Divine Mother. 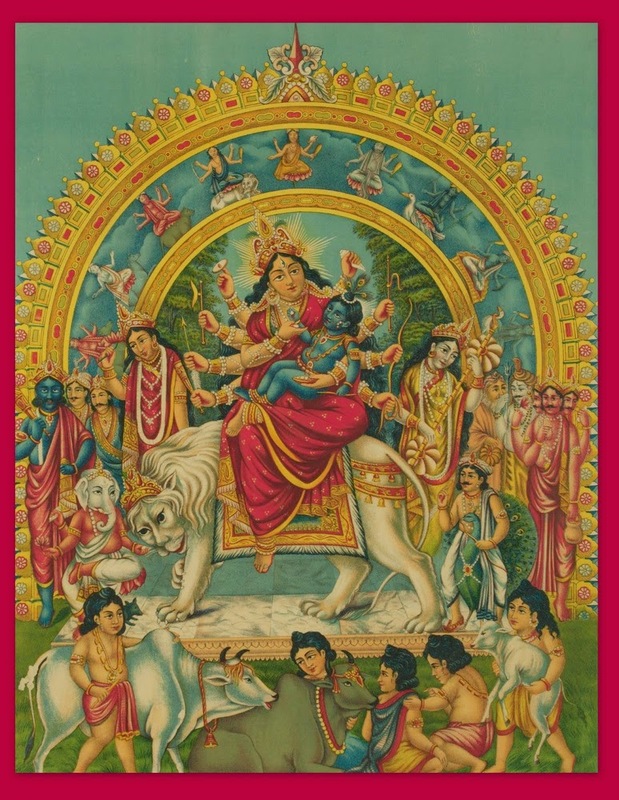 The first three nights, the festival honours Durga, (above) The Mother Goddess, the Mother of the universe, as she descends onto earth from her heavenly abode with her children, Lakshmi, Saraswarti and Lord Ganesha. 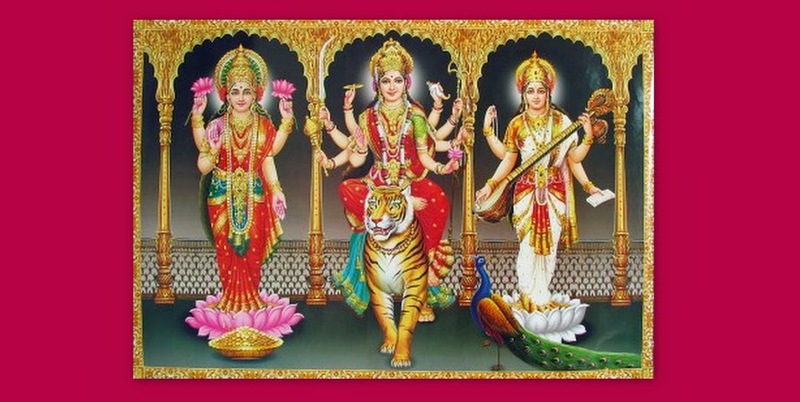 Durga comes to protect and purify and to clear the path of depression and anguish. 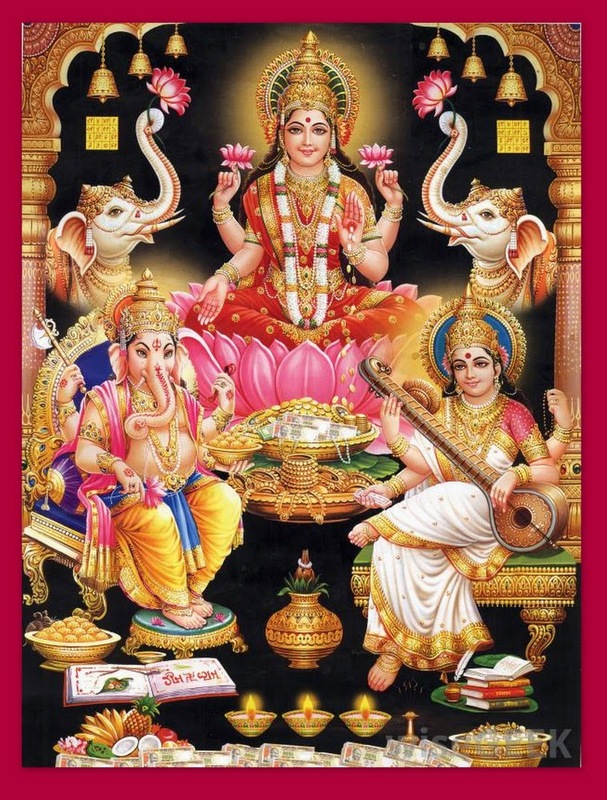 The next three nights the celebration continues by honouring the Goddess Lakshmi, who brings to all rich energy filled with beauty, love, spiritual and material wealth and fortune. 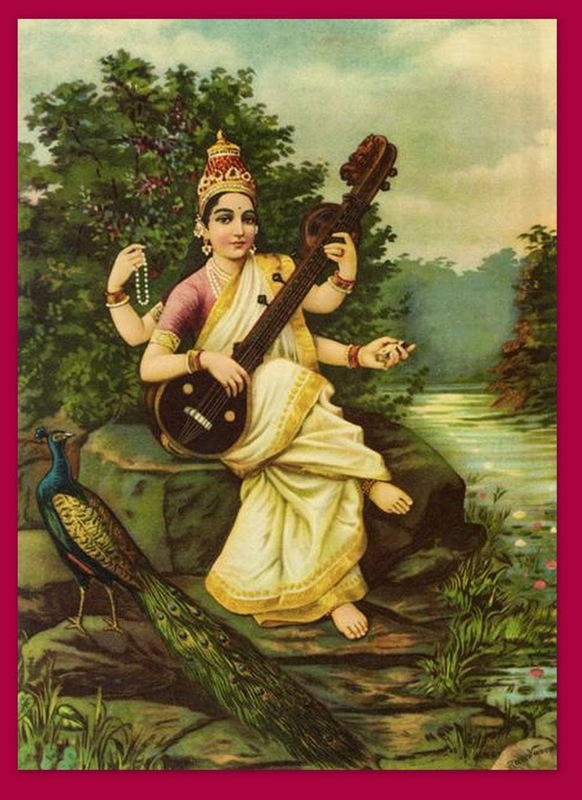 The last three nights are devoted to the Goddess Saraswarti, she is the goddess of knowledge, music, arts and education. 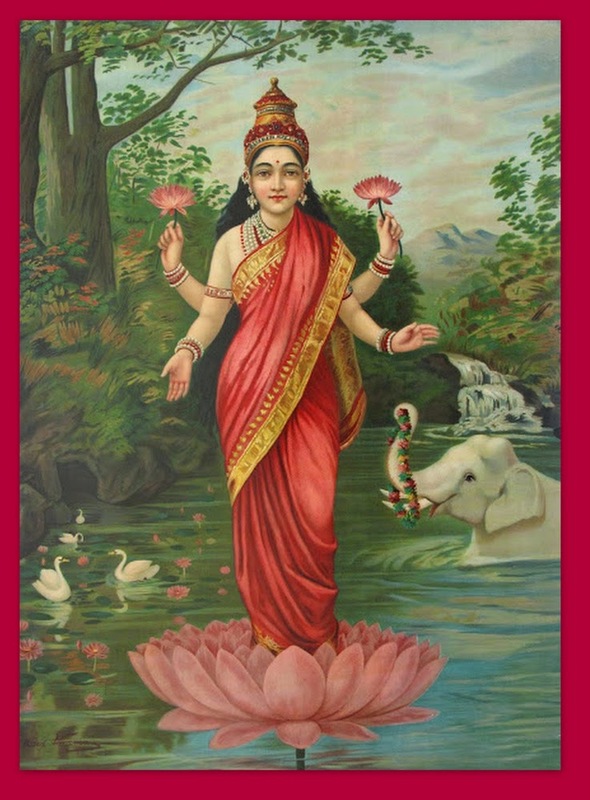 Saraswarti usually wears a white sari and is either seated on a a white lotus flower or riding on a white swan. the difficult times that we are going through. you will receive their grace and many blessings. Wishing you all a creative week ahead!